Why is Wellington so windy? Wellington is known in New Zealand, and around the world, as 'Windy Wellington' due to the frequent strong, gusty northerlies that Wellington experiences. A hardened Wellingtonian is used to the strong winds, and may even miss them when they do disappear for a few days. So, why does Wellington get such sustained strong winds? There are a number of factors which come into play that make Wellington 'the windiest city' in the world with 178 days a year gusting at or above 63 km/h. How often have you gone to sleep on a calm night under clear skies, only to wake up and find the whole valley is full of fog? This makes for great photos if you live above the cloud, as shown below from January 28th 2017 in Crofton Downs, Wellington, but it’s not so nice for the people living beneath the cloud. Often the top of the fog is a smooth, flat surface, and is due to an ‘inversion’. In this blog post we unravel what an inversion is, and why it leads to valley fog like this. Many Auckland boaties head north for the summer break, up to the Bay of Islands and sometimes beyond, to the Cavalli Islands and Whangaroa Harbour. The prevailing southwest winds should mean a run up the coast. Right? Wrong. You need to know about the Northland lee trough. Eight new trainees had their first day at MetService on January 25th 2017, welcomed by MetService and Victoria University staff, including MetService CEO, Peter Lennox and Victoria University's Associate Dean of Science, Shona De Sain. Do you suffer from Cloud Envy? Different parts of New Zealand are prone to different types of cloud. Use this handy guide to determine what types of cloud you get in your area, and where to go for some variety! Weather and the "Internet of Things"
As one of the resident “geeks” at MetService, I have been watching with interest the proliferation of personal weather stations (PWS). One PWS that has really captured my attention is the 5-in-1 smart weather camera from BloomSky. 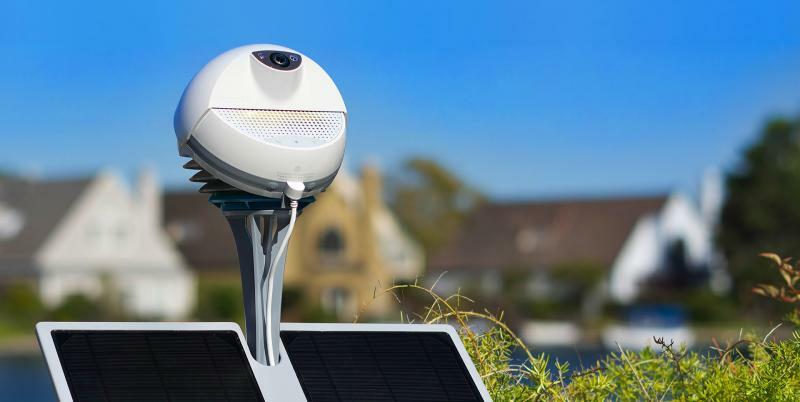 The smart weather camera known as SKY2 looks like its design was somewhat inspired by R2-D2. It is a first for me to describe a weather station as “cute”. The word ‘storm’ is frequently misused in the media and colloquially, almost as much as the misuse of the term ‘weather bomb’*. In the strictest meteorological sense, a ‘storm’ is only a storm if accompanied by storm-force winds, which are defined by the Beaufort scale as having an average speed of over 47 knots (88 km/h). However, there are several other types of storm which don’t require storm-force winds. by Georgina Griffiths, senior meteorologist. Weather forecasting is basically an ‘initial value problem.’ This means that if weather models could capture the current weather perfectly i.e. correctly initialise the current state of the atmosphere, then in theory, they could forecast the future weather accurately well beyond the present limit of a week or so. After all, the atmosphere is a fluid, and follows strict laws of physics. Here at MetService, people often send us photos of interesting clouds, unusual weather, and also atmospheric optical phenomena. Atmospheric optics is the branch of physics which describes how light interacts with the Earth’s atmosphere, to create a wide range of visual spectacles. Things such as rainbows, ice haloes, and crepuscular rays all come under atmospheric optics, along with many others. These can be observed all around New Zealand under the right conditions.